As part of our transformation of the Mitchell Building, we are doubling the size of our gallery spaces to exhibit our amazing treasures. For the first time in the Library’s history, over 300 works from our unique collection of portrait and landscape paintings will go on permanent public display in a dedicated picture gallery. The landmark gallery will tell the story of our nation – its people and places, from early settlement to contemporary times: portraits as diverse as Phillip Parker king, Dame Mary Gilmore, Margaret Fink and Maria of Yulgilbar; evocative rural landscapes; studies of Sydney Harbour and streetscapes showing life in our developing cities and suburbs. Patrons of the Library have been asked to consider sponsoring a painting, perhaps one that particularly moves us, or to which we feel a personal connection. There was no difficulty in my own choice. My partner Rob and I were delighted to see the painting below among the 300 plus selected works. This haunting painting (artist unknown) had an immediate impact on me when I first saw it as a photographic image. 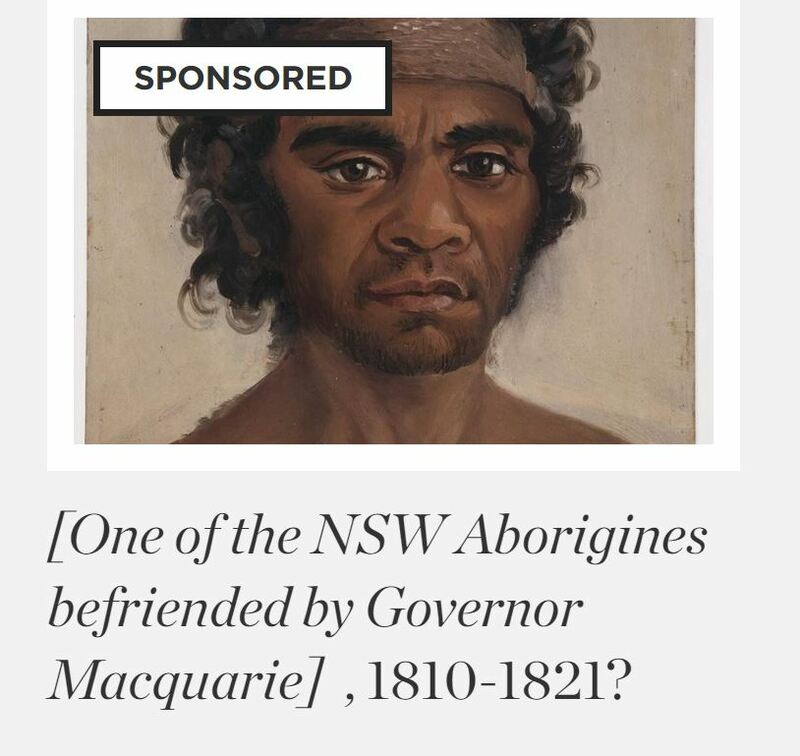 It led to my research into the extended family of Governor Lachlan Macquarie, including the life of his only son Lachlan Jnr., who inherited the picture. It was while reading the will of Lachlan Jnr’s wife Isabella that I first saw mention of the name Marsden, and from there researched and wrote the story of the Marsden children in my book The Water Doctor’s Daughters. So indirectly the portrait took me on a magical journey of discovery; to London, Great Malvern, Edinburgh, The Isle of Mull and Paris. The small oil painting has rarely been on public display, I first saw it by special permission in the archival stacks. 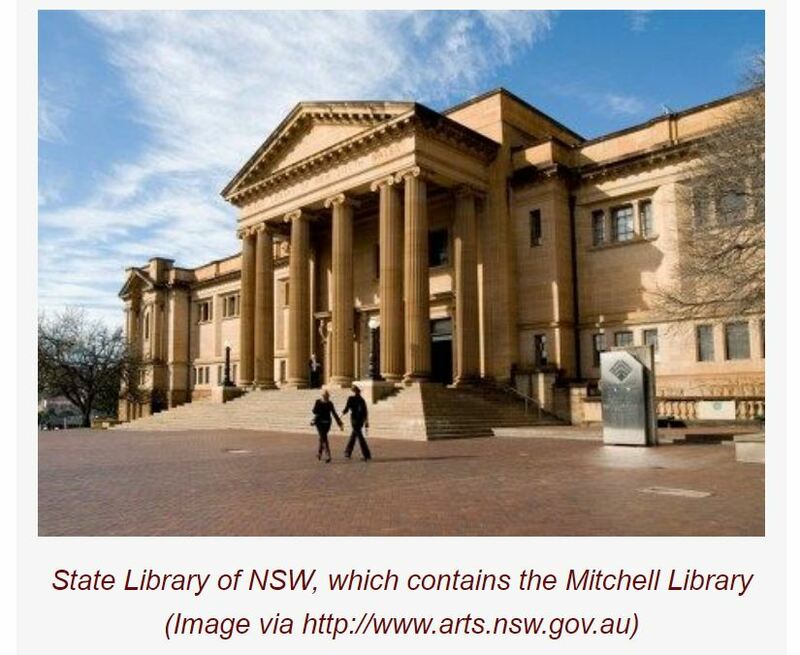 I welcomed the opportunity to partly repay the great debt I owe not just the Mitchell Library, but every library I have been a member of, dating from the age of five. The painting itself went on a very long journey; from colonial Sydney to Scotland, across to the United States, then finally back to Australia in 1914. The full story is told is this article on The Missing Macquarie Relics. There is still an opportunity to sponsor one of the paintings, or to make a smaller donation to assist in the project. For details, CLICK HERE.